Hello! I recorded a new CraftSanity tutorial demonstrating how to dye cotton t-shirts and scrap fabric to weave on the CraftSanity weaving looms as well as use for embroidery and quilting projects. 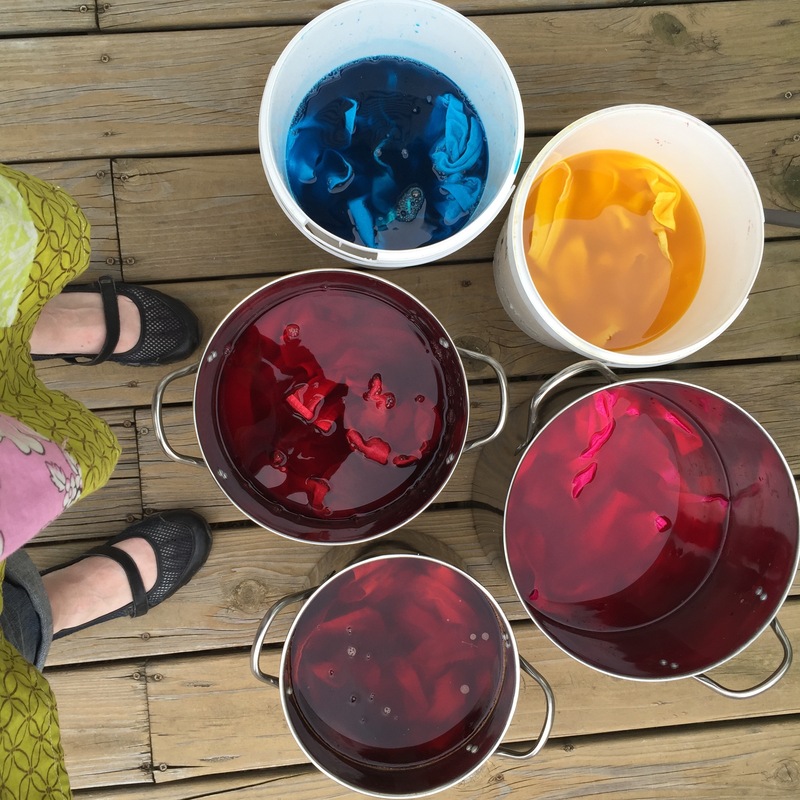 So if you’ve been wanting to try dyeing your own fabric and you’re not sure where to start, I’ll walk you through this very easy process using dye packets readily available at many local craft stores. And after you try your own dyeing experiment, please comment below and let me know it went. To learn how to cut your hand-dyed t-shirts into loopers for weaving, check out our “How to weave a potholder (Part 1)” tutorial.